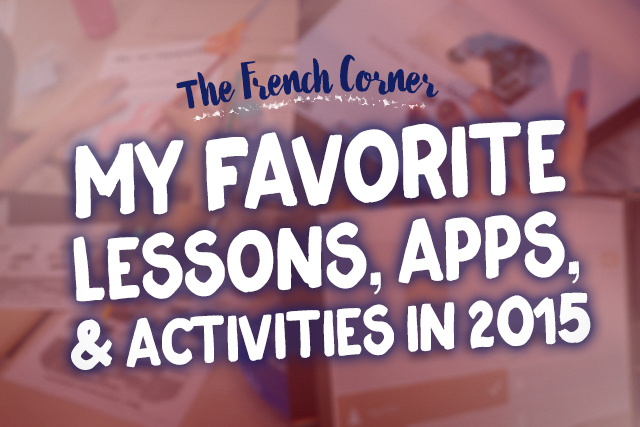 As 2015 comes to a close, I'd like to share some of my favorite lessons and activities that I tried for the first time this year, just as I did in this post last year. I attempted to choose a hybrid of high-tech and low-tech activities, but with the exciting acquisition of iPads this year, a lot of the new things I tried were very high-tech. 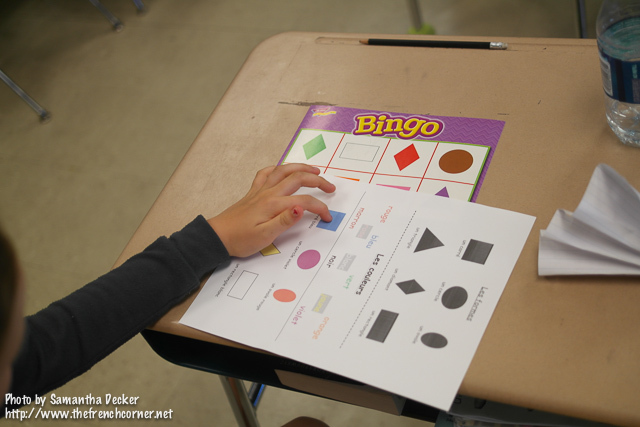 As always, some of these activities are my own ideas, but many of them are adapted from other teachers' ideas. 1. iPad Review Stations - I blogged about iPad review stations here, here, and here. The stations have been a great way to give students one on one time with the iPads, as well as a way for me to incorporate more activities into a review day and easily monitor students as they review independently. 2. Kahoot! - I blogged about Kahoot! here and here. I don't know of any teacher who's tried Kahoot! and didn't like it. 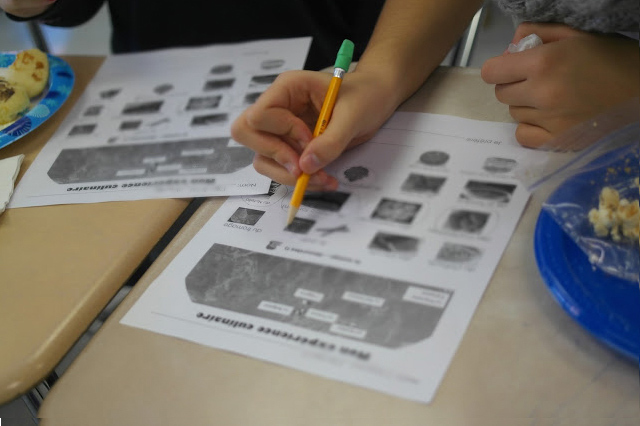 It's a highly engaging way to review material with students. 3. French Club Students Become the Teachers - I blogged about this here. Seeing my students teach and encourage younger students was incredibly rewarding. I can't wait to repeat this project! 4. Adobe Voice - I blogged about this app here and here. Adobe Voice is a really easy way for students to create presentational content that actually looks cool. I also like the way it is easy for students to find images to use legally. 5. Nearpod - I blogged about this app here. Nearpod is a great way to introduce content, keep students engaged, and check for understanding. 6. Student Surveys After Food Tasting - I blogged about this here. After getting the idea for this at a conference, I put it into practice during National French Week. Having the students actually sit down and fill out a short survey ensured they actually knew what foods they were eating, and promoted some target language conversation in class that day. What were your favorite new activities that you tried this year?